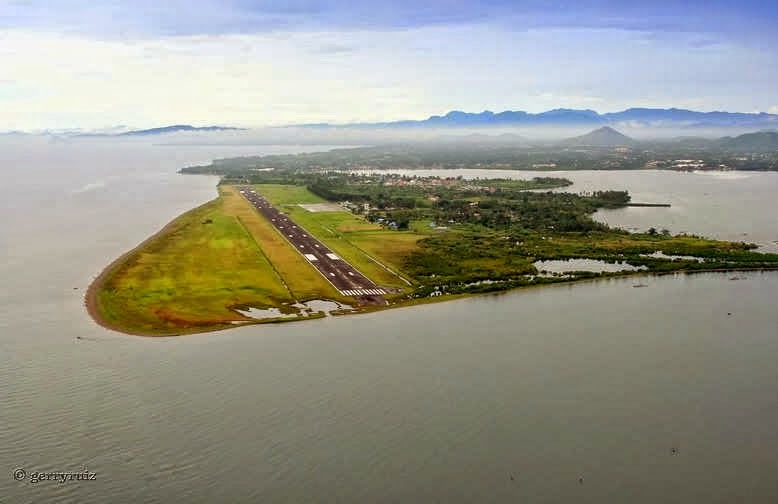 Aviation Updates Philippines - The Civil Aviation Authority of the Philippines (CAAP) closed the Daniel Z. Romualdez Airport in Tacloban City for big jets such as the Airbus A319 and Airbus A320 aircraft. The airport, which is the main gateway for the province of Leyte, started developing potholes on the runway. The said potholes could damage their planes and compromise passenger safety. However, according to an official of CAAP, repair works will immediately be undertaken on the runway to allow turbo-props to land in the airport within the week. Debris lying on the runway, both big and small, pose as a big danger to airplanes as it might cause severe damage to jet engines once ingested. In order to prevent incidents such as Foreign Object Damage (FOD) from occurring at the airports, the Civil Aviation Authority of the Philippines (CAAP) began replacing the 5-inch thick asphalt overlay of the runway on Wednesday. Meanwhile, larger jets can operate in the airport after a few months when broader repairs are undertaken. A statement on Monday showed that a notice to airmen (NOTAM) indicated that the closure of Tacloban Airport would start on Sept. 3 and end at 6 a.m. on the next day for turbo propeller aircraft. The Civil Aviation Authority of the Philippines has already coordinated with the management of AirAsia Zest, Cebu Pacific Air, Philippine Airlines, and Tigerair Philippines, who all agreed to temporarily stop flying at the Tacloban airport using large planes such as the Airbus A320 and Boeing 737 narrow bodied airplanes. A total of 24 flights will be affected due to the closure of the airport to large jets. "The continuing deterioration of the runway surface must be addressed immediately for the safety of all aircraft landing in Tacloban," the Civil Aviation Authority of the Philippines Chief Financial Officer, Rodante Joya said.